1. 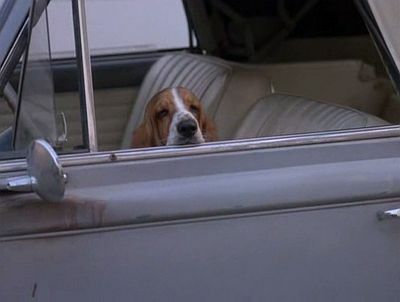 In Columbo, things are not as they seem. A murder is committed, almost always with premeditation. Sometimes, but not always, the death is made to look like an accident. Either way, things are arranged so that the person who committed the murder appears to be the one with the least opportunity and the best possible alibi. 2. 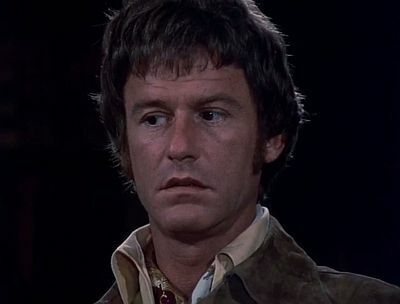 The object of Columbo is not to figure out the identity of the murderer – a banal fact that is almost always revealed to the audience in the opening act of each episode – but rather to examine how circumstances of the murder were dissembled, and finally to uncover the single piece of evidence that can be used to bring the murderer to justice. 3. 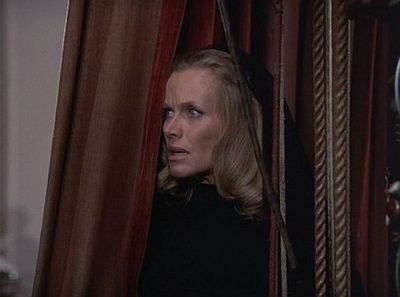 Therefore Columbo is primarily about the act of staging, rather than committing, a murder. And the talent of the detective consists primarily in deconstructing a fiction. 4. The clue that sets the detective on the right track is a flaw in the story. An inconsistency. A man is strangled, and then his death is made to look like the result of an accident involving a piece of gym equipment. In the process of setting the scene, the murderer must remove the man’s business clothes and dress him in his gym clothes. But when it comes to tying his sneakers, he does it like a man who is tying another man’s shoelaces, not his own. That is what’s wrong with the picture. The detective notices it right away, and spends the rest of the episode turning the clue into an actual piece of evidence. That is the work of the detective. 5. 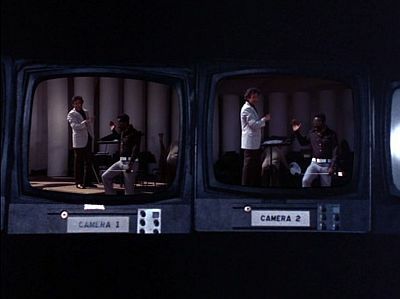 Because Columbo is not interested in human motivation and the social causes of murder, but is concerned rather with staging and representation, in one respect the work of the detective comes to resemble that of a reverse script supervisor or continuity clerk. 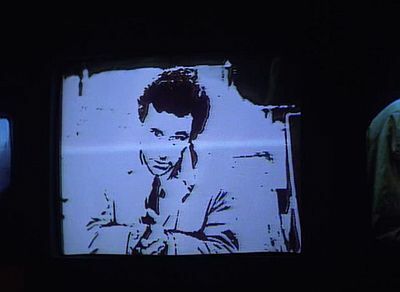 Sometimes this is literally true, like when Columbo discovers that a security tape was doctored by the fact that a hedge in the earlier portion of the tape appears to have been pruned, whereas later it is shown in a non-pruned state; or when, in one of my all-time favourite endings, he notices that an audio-recording purported to have been made in the murderer’s office is missing the sound of a mechanical clock chiming the hour. 6. 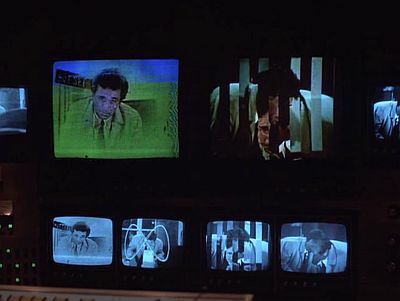 As a consequence, finding continuity errors or inconsistencies in Columbo-the-show can be uniquely jarring. 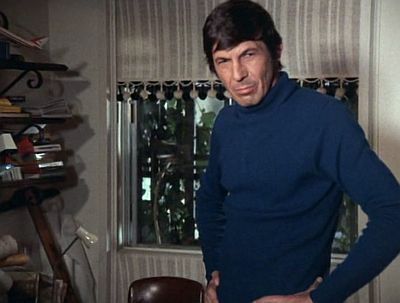 The episode in which Martin Landau plays two identical twins, for instance, was spoiled for me by the clumsy choice of the extra who played the other twin when both of them appeared in the same scene. 7. 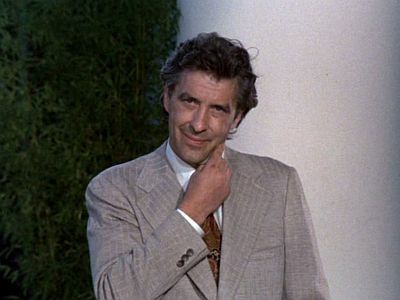 The problem with Columbo is that every episode needs to be perfect, and not all of them are. 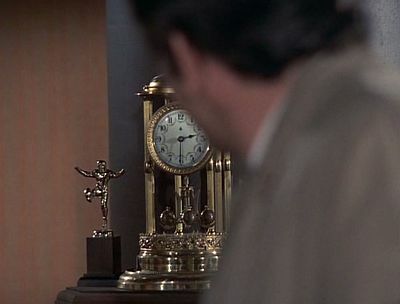 Conversely, so many moments and scenes of Columbo are just that, perfect. Like the reverse tracking shot from his car driving down the street into the office where a writer is about to get killed in the Steven Spielberg-directed Murder by the Book. 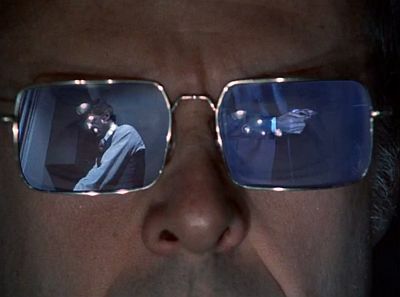 Or the projection onto Robert Culp’s glasses of how he’s going to get rid of the body of the woman he’s just killed in Death Lends a Hand. Or the long speech that Columbo delivers with his back to the camera in Prescription: Murder. 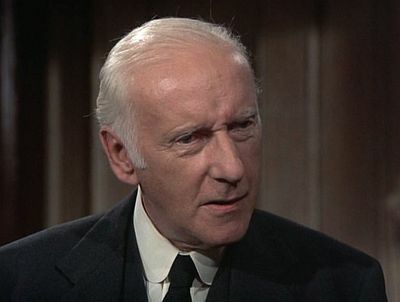 Often this style calls attention to the artifice, in the manner of Alfred Hitchcock, like this shot from Lady in Waiting. 8. 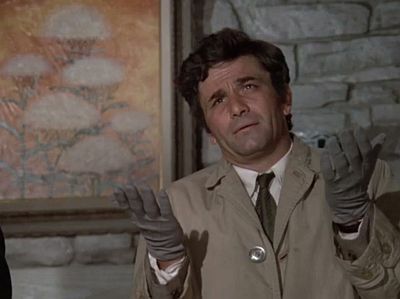 So Columbo is both about the staging of murder and also of a TV show about a detective. Hence the plethora of episodes set in the worlds of cinema, television, publishing, radio and theatre. Cops, you know, we're not the brightest people in the world. Of course we've got one thing going for us: we're professionals. I mean, you take our friend here, the murderer. He's very smart, but he's an amateur. I mean, he's got just one time to learn. Just one. And with us, well, with us, it's – it's a business. You see, we do this a hundred times a year. I'll tell ya, Doc. That's a lot of practice. 10. Columbo is a diligent and honest worker. He’s not a genius: he’s just the employee of the month for 38 years running. 11. 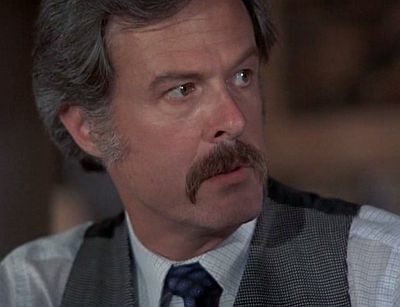 As well as being good at his job – which he often admits to enjoying – Columbo is both temperamentally and professionally interested in other people’s work. For solving the murder often involves being taught the details of somebody’s else job, no matter how apparently menial. Like when he asks a cleaner to show him exactly how she cleaned the fridge in the victim’s apartment on the day he was killed in It's All in the Game. There are endless examples of this. 12. 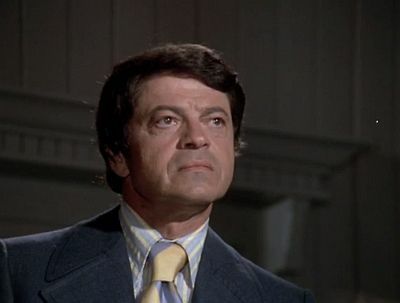 Yet ironically one of Columbo’s talents consists in hiding the fact that he’s good at his job, in order to ingratiate himself to the suspect and appear less threatening. Just as the murderer stages the murder, Columbo dissimulates his investigation, which becomes a counter-fiction to the murderer’s fiction. 13. 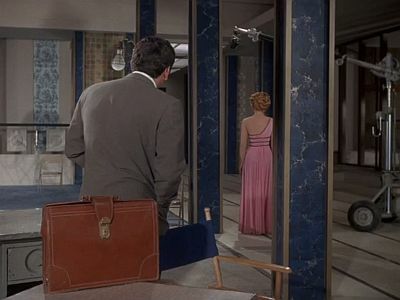 The suspense in Columbo consists principally in the murderer coming to the realisation that Columbo is not an idiot. 14. Columbo has very little regard for morality. 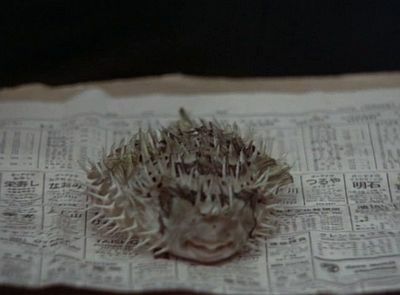 Its murderers aren’t monsters, even when their crimes are nefarious, and the detective often treats them with respect if not downright sympathy and comradery. 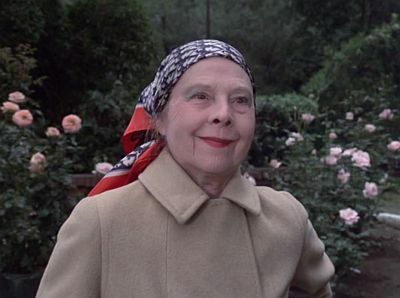 In Try and Catch Me, he says to the character played by Ruth Gordon: ‘Sometimes I like the murderers that I meet, if they’re intelligent or funny or just nice.’ By which he obviously means to include her, even though he knows she left a man to slowly suffocate inside a vault. 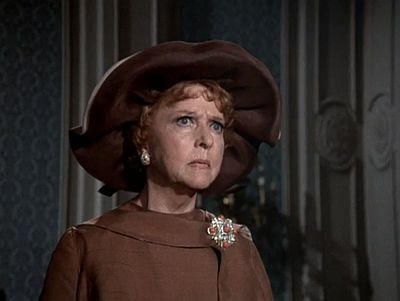 Similarly, in Ransom for a Dead Man Columbo points out to the suspect that she has no conscience not in order to formulate a judgement, but merely to remark that he exploited this weakness to make her reveal a key piece of evidence. 15. 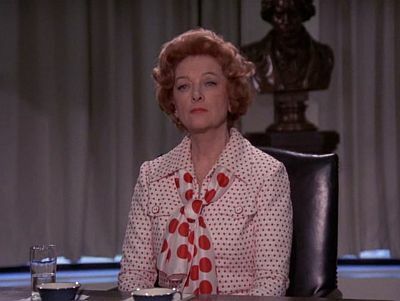 Murder in Columbo is not an index of moral degradation or social malaise, either. And not only because the murderers are mostly the product of affluent Los Angeles society. Murder merely happens because people are sometimes motivated to kill other people, and also have the opportunity to do so. 16. In Columbo truth is plain, and it can be uncovered via logic and observation. 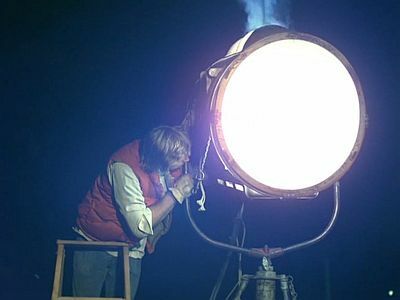 While ‘the boys at the lab’ often lend a hand, they are there to examine the scene as instructed by the detective, not to make their own deductions. In fact the only time a crime scene investigator takes on a larger role, in A Trace of Murder, he turns out to be the murderer. 17. Unlike in the CSI era, truth in Columbo is macroscopic, not microscopic. 18. 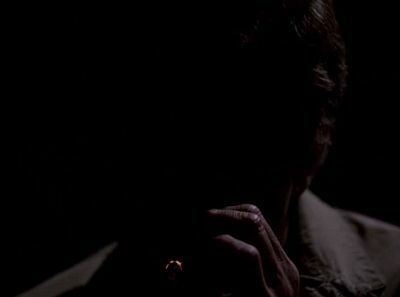 There is very little darkness in Columbo, both metaphoric and actual. Every interior is thoroughly lit, every surface gleams, as if waiting for the detective to search it for clues. 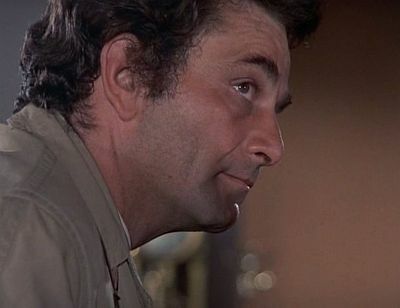 Outside, the Californian sun is always shining, making Columbo’s raincoat seem even more incongruous, and even the night scenes are often shot by day, such as in the climax of Any Old Port in a Storm. 19. Columbo doesn't get old. He always stays a lieutenant. Coming back from the series 11-year hiatus, he wears the same raincoat. His sergeant is still a sergeant. He drives the same car (a dilapidated 1959 Peugeot convertible). The dog is still alive. 20. 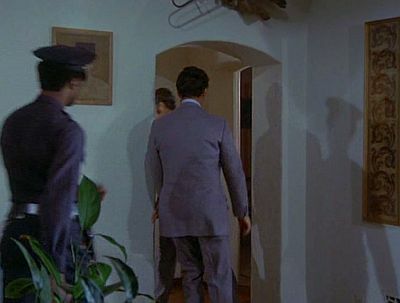 Yes in spite of the detective’s infinite reserve of bonhomie and anecdotes about the wife, his love of food, the sun always shining, and time never passing, occasionally Columbo reveals a darker side. 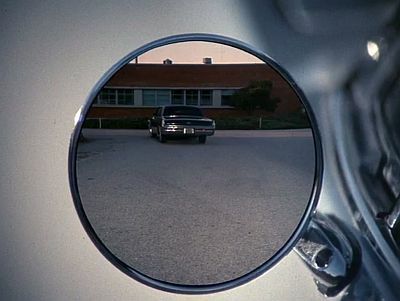 It’s when we’re allowed to see Columbo through the eyes of his suspect, as an almost demonic presence, or the unlikely incarnation of the narrative principle of detective fiction, whereby the truth will always out, no matter how carefully one might try to disguise it. 21. But mostly, Columbo is just nice, and his genial nature is at the heart of the show. ‘That's me. 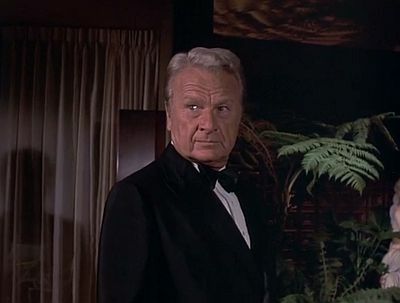 I'd like to see everyone die of old age.’ Columbo would be happy to live in a world in which there is no place for him, and while he’s certainly not naïve (‘Every time I see a dead body, I think it's been murdered’), he’s always kind. Almost to the point of being sorry, sometimes, that he’s so good at solving murders. 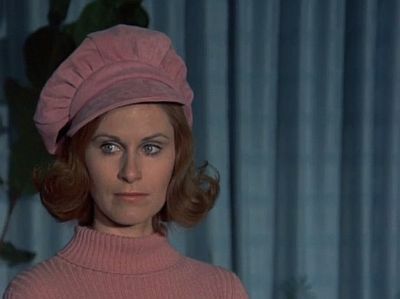 In lieu of an ending: a random gallery of what people look like right after Columbo has left the room. The origins of the literature admonishing the poor for their spendthrift and wretched ways go back some centuries, but every epoch has its particular versions of it. For us – less than ten years after a cadre of bankers seeking to criminally profit from ordinary’s people desire to own a home plunged the world into a catastrophic crisis – it centres around the failure of the poor to accumulate immovable assets. Hence the torrent of newspaper articles purporting to prove that anyone can own a house, if only they set their mind to it, or so long as they commit to making the same sacrifices as their forebears. These articles have a few things in common: they elide class advantage by giving as little emphasis as possible to the fact that their heroic young homeowners invariably turn out to have received large sums of money from their parents, or to have benefited from living with their family at the time when they were saving for a deposit; and – under the guise of giving sensible and useful advice to young people – they provide moral justification to a massive generational shift in wealth, accompanied by an even greater increase in inequality. 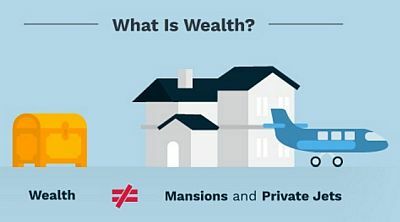 It’s not just that older people are relatively better off than younger ones with respect to home ownership: it’s also that the rich are getting vastly richer by purchasing an ever greater proportion of the available stock. Blaming Millennials – standing in more broadly for ‘anyone who doesn’t own a home’ – for being bad at saving, or portraying exceptional stories as an achievable norm, hides the structural nature to the problem. As is a historical constant of this genre, the articles are also of immense comfort to the rich, who get to view their success – by implication – as having been earned through personal sacrifice, and to displace any residual guilt they may feel during their darker moments. Yet there is a lot to learn from these stories. When a successful profiteer thunders from the pages of a bourgeois newspaper that wannabe buyers should ‘Toughen up, stop complaining and join the army’, it not only gives us a valuable recruiting tool for bloody revolution, but it also undercuts the myth of equal opportunity from which bourgeois politics derives its legitimacy. Again: every epoch in history provides us with variations on this theme. And that’s what makes them worthy of study. What makes this guide exemplary is its visual rhetorical style, combined with its daring central proposition. This time, our aim is not to make you think you will ever own a home (say goodbye to subprime). Rather, we want to persuade you that you can achieve financial well-being on the crumbs that the most advanced capitalist society in the world leaves on the table, simply by following a million easy steps. No: real wealth consists in being able to survive for a long time should your earnings suddenly stop. Which, interestingly enough, is an impoverished but still somewhat passable version of the old-fashioned understanding in working class circles of the word ‘security’. In the heyday of post-war social democracy, through such documents as the 1972 report by the New Zealand Royal Commission on Social Policy, western governments had enough faith in capitalism as to suggest that social benefits should be sufficient not only to keep the wolves at bay, but to participate in society as equals, sharing in the same lifestyle and enjoying the same material goods as members of the middle class. Nowadays, by contrast, not only the unemployed or the underemployed, but even people with a modest job are supposed to make do with less and less. Forget eating out. Cancel your cable. Sell your car and travel by bike, as if you lived in an Italian neorealist film. Do the things that are free in life, like phoning an old friend or going for a hike. 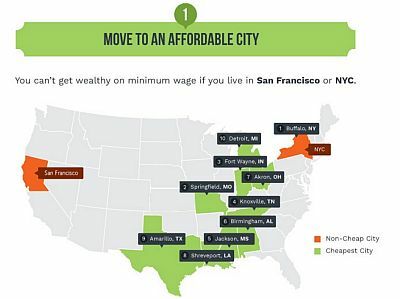 And above all, move to a cheaper city. This requirement, which is also quite common to ‘how to get onto the property ladder’ primers (Step 1: buy a place 75km from the nearest paying job) is especially illustrative of how far the dream of universal prosperity has sunk. To shunt all minimum-wage workers to Amarillo, Texas, is not only patently nonsensical – who would be left to clean buildings and serve food in New York? – but is also a dramatic admission that capitalism cannot provide a decent living even to people who are, as it were, fully subscribed. We knew all this, of course. It just sounds different when a visual capitalist says it. And while relocation may be technically voluntary, Desjardines makes sure to set a guilt-trap for those who may be reluctant to pack their bags. Abandoning your home, your social networks of support – which are themselves essential for surviving on a low wage – your friends, your family, even your culture, are things that those guilty not of working less hard, but for less money than others are called upon to justify. They are excuses. Pausing only to remind ourselves that Elon Musk once went a year eating for less than $1 per day, we have come full circle to the basic premise of every anti-poor piece of writing in the three-hundred-year history of this genre. Namely, that poverty is a choice, and all you have to do is to unmake it. But what good is empowerment without emancipation? What does one gain by beating the odds, if not to become another outlier, or the likely subject of a newspaper article about how to be ‘wealthy’ on the minimum wage? Such are the cheerful, bloodless fantasies of late capitalism: a happy life in Amarillo, your time equally divided between going on hikes and phoning old friends. Only please, whatever you do, don’t even think about raising a family. This week I also have a review over at Overland of Jeff Sparrow’s brilliant new book on Paul Robeson.